When you have adjusted a list form, you can add it to a SharePoint site. This form can be used by SharePoint site users according to the rights provided by site administrator. Go to your SharePoint site and add new page where you want to publish your list form. 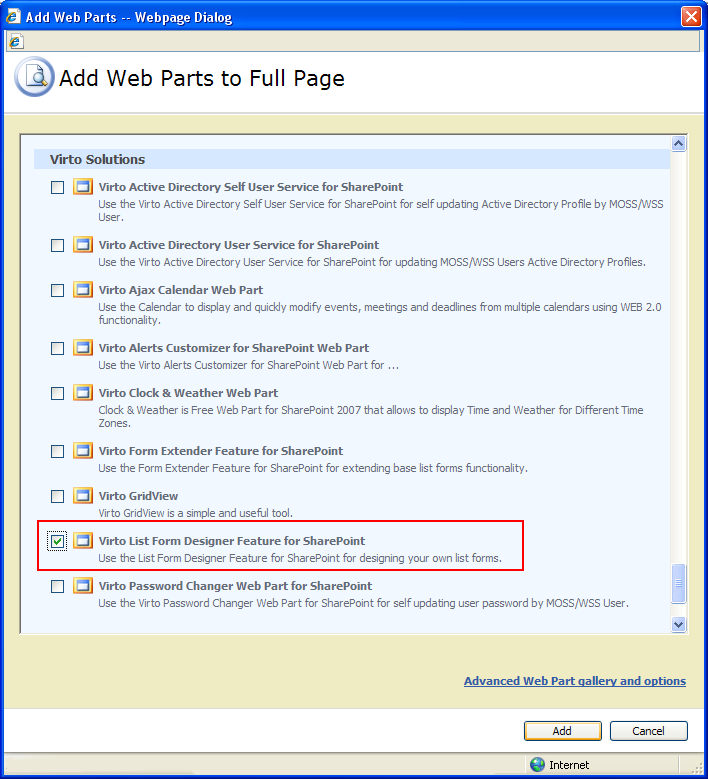 Use “Add a Web Part” and select Virto List Form Designer from the list. Click “Add”. Click “Edit – Modify Shared web part”. Now select list from your SharePoint site, select list form and define text for “Save” and “Cancel” buttons. Click “OK” to save the settings and return to the page.